Stacy Tilton Reviews: Sharpie® Extreme Markers - It's time to get marking! 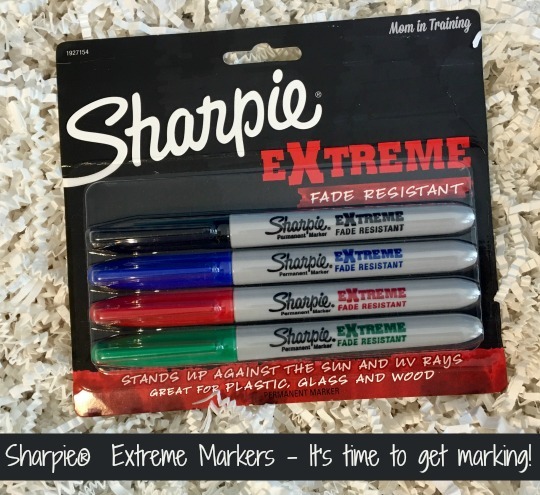 Sharpie® Extreme Markers - It's time to get marking! One of the tasks I always take pride in for back to school in my house is labeling everything my kids take to school. Too many times I've had the kids come home in their early years of school complaining that someone "stole" one of their school supplies. Or even worse their lunch bag or something more expensive than school supplies. So now this mamma makes sure everything is clearly labeled before it leaves the house. By using Sharpie® Extreme Markers I know that even if whatever it is that I am labeling gets wet or left out in the sun it will still be clearly labeled. I love how durable they are and how many different things you can use them on too. I guess you could call these back to school supplies for mom!